2:42 AM low 0.0 ft.
6:48 PM high 2.0 ft.
6 more station photos available, click to view. How to reach: To reach the tidal bench marks from the foot of the Municipal Pier in St. Petersburg, proceed south on 2nd Street for 1.3 km (0.8 mi) to the dead end intersection with 8th Avenue SE. Then go east on 8th Avenue SE for 0.5 km (0.3 mi) to the U.S. Coast Guard Station St. Petersburg entrance gate. Continue ahead to the end of the road which terminates at the boat launch ramp. The bench marks are located in the vicinity of the Coast Guard Station. 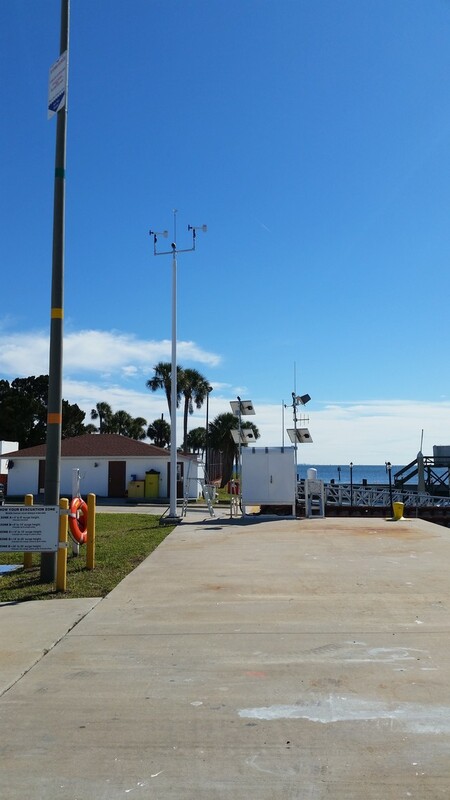 The tide station is located on the end of the working pier directly in front of the parking area.